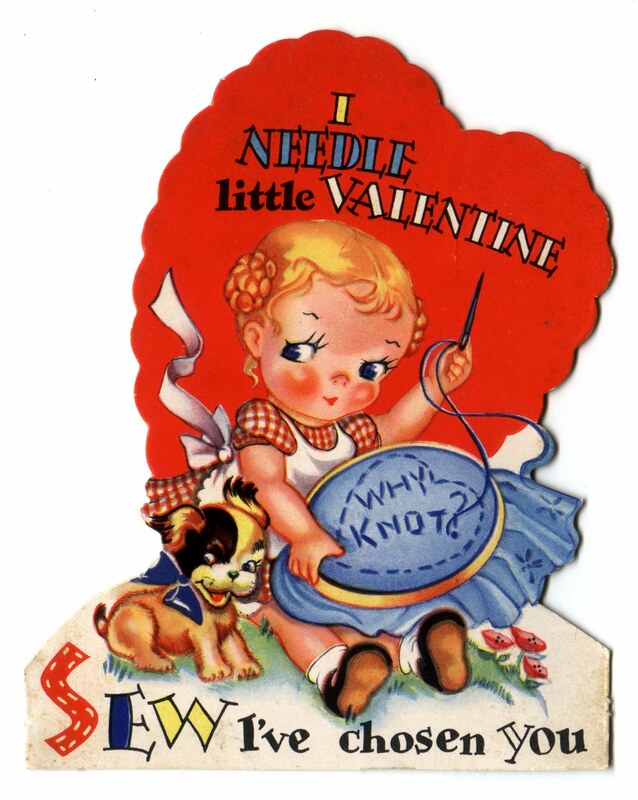 feeling stitchy: Needle Little Valentine? this is precious...thank you much for sharing! That is just too adorable for words. that is amazing! i was just wishing that one of my vintage valentines was sewing-themed! those are my favorite valentines day cards! cheesy puns...and cute pics!